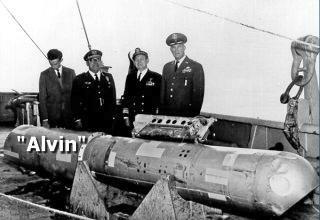 Most of the developments in the techniques of exploring the seafloor have been witnessed over the last 150 years. However, it is known that Vikings such as “Eric the Red” used ‘sounding weights’. These were lead weights attached to a rope or line, which were lowered to the bottom from the side of the boat. Often, the weight had a hollow bottom so a sample of the sediment could be collected. It was a straightforward matter to measure the length of line lowered in order to estimate the depth. The line length was divided up into sections which were equal to a man’s arm span from fingertip to fingertip, a length of 1.83 meters (6 feet). This measurement was called a fathom, a term which is still used today. This method of taking ‘soundings’ was used until the mid-1800’s. During the mid-19th century, governments and scientists launched systematic surveys of the world’s oceans. Deep-sea exploration is a difficult process even with today’s technology. The great depths that scientists want to learn more about present serious equipment challenges. To find out what the deep-sea floor looks like, what the current conditions and seawater chemistry are like and what animals live there requires a range of sophisticated equipment that must be able to withstand the great pressure associated with depth. Manned & unmanned submersibles, trawls, corers, dredges and towed camera platforms are just some of the equipment used in deep-sea research and can require a whole technical team just to keep them running. But today’s scientists have it relatively easy. Deep-sea exploration began in the 19th century when ships were still powered completely under sail. Compare that to today’s research ships that have enormous engine rooms to keep them going and dynamic positioning systems to make sure the ships stay in position around particular sites! Deep-sea exploration really started off with a series of expeditions to measure the depth of the ocean using lead sounding lines in the early 19th century. Thin ropes with a lead weight (called a “plummet”) at the bottom were dropped off ships to estimate the depth of the water. Sometimes the lead weight had a recess built into it that was filled with a sticky substance called tallow. This would pick up a small sample of the sediment underneath the ship (e.g., mud or sand). Both the depth and sediment information were used for the ship to navigate safely. In 1818 Sir John Ross, uncle of Sir James Clark Ross (a famous marine explorer), took part in an expedition to locate the northwest passage in the Arctic Ocean and while carrying out sounding surveys he pulled up a Basket Sea Star from 1.6 kilometers depth. Years later on an expedition to the Southern Ocean, his nephew James found lots of animals living at 1.8 kilometers depth on the Antarctic continental slope. Discoveries like these including those by Norwegian father and son Michael and G.O. Sars of animals living at the bottom of deep Norwegian fjords, filled Victorian scientists with excitement and sent them looking for more deep-sea animals. 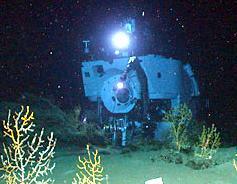 However many scientists at this time believed that the deep-sea was an empty, barren place. They thought that the darkness, cold and great pressure would prevent life from flourishing and some studies seemed to confirm this theory. Scientist Edward Forbes carried out research in the Aegean Sea between 1841-1842, dredging the seabed for deep-sea fauna but he didn’t find very much. In 1843 he published his “azoic hypothesis” that beyond 0.6 km depth there was no life. We now know that Forbes was just a bit unlucky. This particular area of the Aegean deep-sea is quite sparsely populated. Had he carried out his research somewhere else, it might have been a different story. As it happened, his theory created a lot of controversy among scientists and luckily, fueled more deep-sea research. Charles Wyville-Thompson and a contemporary W.B. Carpenter, went on to carry out research in the deep waters off northwest Britain and the Iberian Peninsula aboard the HMS Lightning (1868) and the HMS Porcupine (1869-1870). They collected sediments from 4.3 kilometers depth and found that the clay ooze they collected was almost entirely made up of the skeletal remains of plankton. The Challenger expedition was carried out shortly afterwards, between 1872–1876 and is perhaps one of the most famous in early deep-sea exploration because it laid the foundations for what we know today. Prior to the Challenger expedition, very little was known about the shape of the deep-sea floor or its fauna. Charles Wyville-Thompson was part of this expedition as well, in his role as the chief scientist on-board. On its 130,000 kilometers journey, the HMS Challenger carried out a series of sounding surveys providing the most comprehensive view of the deep-sea floor to date and discovered 4,700 species new to science. Some of the newly discovered fauna came from trawls taken at over 5 km depth. Deep-sea scientific research continued to grow after the Challenger expedition and as technology developed, so did scientist’s view of life in the depths. Photography, invented in the mid-19th century, soon found its way underwater. By 1900, a French biologist called L. Boutan had published a book of his underwater photographs. American scientists M. Ewing and J. Worzel went on to develop the first free-floating remotely operated camera in 1939 and became the first to use underwater photography to investigate underwater environments and processes. 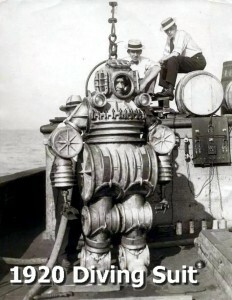 Between 1939-1946 their research group (Woods Hole Oceanographic Institution), invented new features for the camera such as bottom-contact triggering where the camera would take a photograph when it made contact with the seafloor and the use of the camera on a platform that could be towed at depth behind the ship. Photography nowadays plays a large part in deep-sea research, helping scientists to understand everything from how animals use a particular space over time (using “time-lapse” photography) to what the seafloor might be made of. Ocean exploration is about making discoveries, searching for things that are unusual and unexpected. Ocean exploration however, is not randomly wandering in hopes of finding something new. It is disciplined, systematic and includes rigorous observations and documentation of biological, chemical, physical, geological and archaeological aspects of the ocean. Findings made through ocean exploration are fundamental to reducing unknowns in deep-ocean areas and providing high-value environmental intelligence needed to address both current and emerging science and management needs. Exploration helps to ensure that ocean resources are not just managed but managed well, so those resources are around for future generations to enjoy. Through ocean exploration, we can establish the baseline information needed to better understand environmental change, filling gaps in the unknown to deliver reliable and authoritative science that is a foundation to providing foresight about future conditions and informing the decisions we confront every day on this dynamic planet. This same knowledge is often the only source for basic information needed to respond appropriately in the face of deep-sea disasters. Information from ocean exploration is important to everyone. Unlocking the mysteries of deep-sea ecosystems can reveal new sources for medical drugs, food, energy resources and other products. Information from deep-ocean exploration can help predict earthquakes and tsunamis and help us understand how we are affecting and being affected by changes in Earth’s climate and atmosphere. Ocean exploration can improve ocean literacy and inspire young people to seek careers in science, technology, engineering and mathematics. The challenges of exploring the deep ocean can provide the basis for technology and engineering innovations that can be applied in other situations. Yet even as the importance of deep areas of the ocean in our everyday lives continues to increase, our knowledge of these areas remains limited in many instances, we are “flying blind” when it comes to management, regulation and resource use in deep-water areas. * The life forms living near hydro-thermal vents, unlike any other life forms on earth, do not rely on photosynthesis and the sun for their energy but on chemicals coming from beneath the surface of the earth. * Of the estimated 500,000 to 10,000,000 species living in the deep-sea, the majority are yet to be discovered. * Approximately 98% of the oceans’ species live in, on or just above the floor of the sea. * The estimated number of sea-mounts ranges from 30,000 to 100,000. * Sea-Mounts are home to a breathtaking array of species for example, over 850 species were recently found on sea-mounts in the Tasman and Coral Seas. * 15% or more of the breathtaking array of species being found on sea-mounts may be endemic, meaning that they are unique to that area. Because of this, each unsampled sea-mount is a potential source of numerous undiscovered species. The Coral and Tasman Sea sea-mounts have endemism rates of about 30%. * Two-thirds of all known coral species live in waters that are deep, dark, and cold — some live three miles deep and are able to survive in -2 °C (28.4 F). * Some cold-water corals are 5,000-8,500 years old or more and some grow into beautiful structures that rise up to 35 meters high (114.9 feet). * Deep-sea corals, sponges and other habitat-forming organisms provide protection from currents and predators, nurseries for young fish and feeding, breeding and spawning areas for hundreds of thousands of species. * Commercially important deep-water fish and crustacean populations found in the high seas include crabs, shrimp, cod, orange roughy, armorhead, grenadier, patagonian toothfish/chilean sea bass, jacks, snappers, porgies, sharks, groupers, rockfish, mackerel and sablefish. * Deep-sea species tend to be slow-growing, late maturing and low in reproductive capacity. Many deep-water fish species live 30 years or more. Some such as Orange Roughy, can live up to 150 years. * Because deep-sea species live in rarely disturbed environments and tend to be slow-growing, late maturing and endemic, they are exceptionally vulnerable to extinction. * Gorgonian corals produce antibiotics; compounds found in certain deep-sea sponges are potent immunosuppressive and anti-cancer agents; Some coral species contain the pain-killing compounds known as pseudopterosians; Seafans contain high concentrations of prostaglandins which are compounds used to treat asthma and heart disease. * Ancient deep-sea corals provide valuable records of climate conditions that may assist our understanding of global climate change. * The oceans cover two-thirds of the Earth’s surface to an average depth of almost 4 kilometers (2.49 miles). The deepest point discovered so far is almost 11 kilometers deep (6.84 miles). * The oceans provide about 190 times as much living space as all of the Earth’s other environments – soil, air and fresh water put together. * Life on Earth almost certainly originated in the sea and was more or less restricted to the oceans for the first 3 billion years of evolution. * The Giant Squid has the largest eyes of any animal on Earth. They are up to about 30 centimeters (11.9 inches) across which is about the size of a dinner plate. * The record for the deepest fish goes to the Snailfish, a member of Ophidiidae family. It was dredged from the bottom of the Puerto Rico Trench at a depth of 8,368 meters (5.2 miles) in 1970. * The largest known deep-sea fish is the Greenland Shark, which grows to over 7 meters (23 feet) in length. However, it doesn’t spend all its time in the deep-sea. It also comes up to the surface to eat waste thrown overboard from fishing boats. * Life in the sea is incredibly rich. There are creatures from 28 major groups of animals living in the sea, including sponges, crustaceans and mollusks whereas only 11 major groups of animals live on land.